It was sunny today and with that came the need to wear sunglasses. When I put them on, I thought to myself "Do these really look okay on me?" To be honest, I don't like picking out new sunglasses because I just don't know how to pick the best pair for my face. So, basically I just accept and use those free ones that you get at tradeshows & fairs instead of actually investing in eyewear that's going to not only look good, but more importantly, protect my eyes! So, I decided to scour the internet for some websites that feature information on picking the right sunglasses. WhoWhatWear - This article features awesome images showing what style sunglasses you should choose based on the shape of your face! Awesome! WebMd - This page focuses on explaining the important of wearing sunglasses that protect your eyes from harmful UVA & UVB rays! Definitely a must! 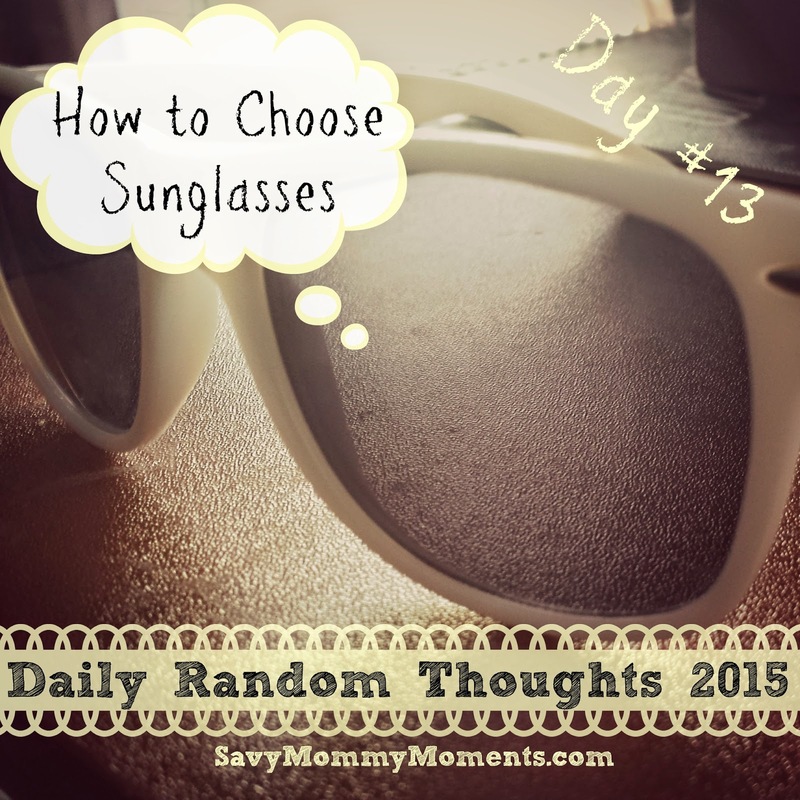 I created a fun "Sunglasses" board on Pinterest! I hope you enjoyed Day #13 of Daily Random Thoughts 2015. Check back tomorrow for Day #14! Click here to catch up on the entire series. Make sure to follow me on FACEBOOK, TWITTER, INSTAGRAM and PINTEREST for lots of fun stuff and to stay up to date on new blog posts!